Georges Bisson, the oldest cheesemaker in Normandy presents their camembert cheese, featuring (on the cover of the cheese) all the gold awards they’ve won over the years as a company. 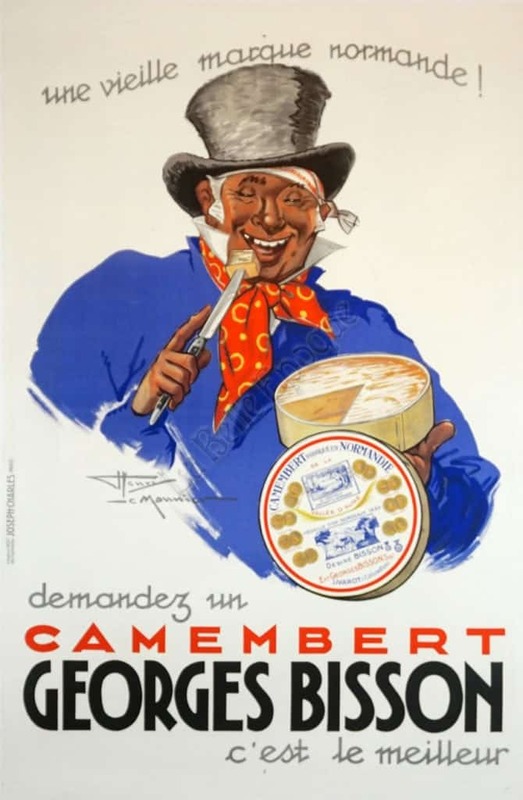 This specific poster, shows a jolly gentleman in a top hat, red neckerchief and blue coat sampling a fresh wedge of cheese with his kitchen knife, taken from the wheel of cheese in his left hand. The title font, in red and black, contrasts sharply in front of the light background. The subtitle underneath reads ‘This is the best!’ in French.